Consider also: food, insects, rainforest, oceans, air, soil, living breathing cooperating systems. Add turbines: widespread havoc to all. If you care, truly care, about wildlife and habitat, and your coexistence with all, and of course your own relationship to food, you will care about wind turbine proliferation. Please share this site with others. For all of this, do not imagine that turbines provide meaningful power. 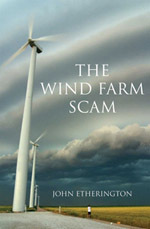 Industrial wind is the largest “con” of the modern age. In Ontario, Canada, there are now 57 known remaining Bald Eagle nests, one having been permitted for removal literally late on a Friday, for removal by Sunday, while a pair of Eagles looked on from nearby. This was an active nest, clearly ready for occupancy and by the time protesters could get to the site, which a Biologist hired by the Ministry of Natural Resources said should absolutely be protected, it was too late. The outrage of this nest removal resonated around the world. It became emblematic of people who similarly are being forced from their homes, displaced from their own space and natural surroundings. It is also emblematic of the psychotic displacement that is going on with respect to an industry that calls itself “green” but is actually a butcher shop. Even endangered species are up for grabs, permits being called “take” permits, with certain numbers allowed to be, maimed, displaced, or killed. Many find this permitting outrageous and nearly beyond imagining. I believe that if the public were made aware of the extinction of species coming from these turbines and the mountain of bogus studies the industry has produced, they would want NOTHING to do with these turbines. I also believe the majority of people after hearing the truth would rather conserve energy and would be willing to pay more for other forms of electricity just to shut down these deadly turbines. It is called sharing the world, not devouring it. I can not stress this enough to people………..From what I have seen from looking at wind industry mortality studies, this industry and our wildlife agencies are so corrupt they might as well all be selling used cars with their odometers turned back at least 90% because this is how bad it really is. Across the nation official bird and bat kill estimates have been derived from studies rigged to hide mortality. The real numbers are at least 10 times the amount being reported and sometimes it is far more. Altamont Pass has reported less than a hundred dead bats in 30 years of service but thousands have been killed there. This industry is set up to hide mortality and the latest “incidental take” or “Kill permits” for a few endangered bats could end up being 5000. A single permit for an eagle could easily end up with dozens being killed. A generation ago these were the people we incarcerated and ran out of our neighborhoods. Now these same people have been put on a path of massive industrial blight and extinction of species. This man-made disaster will be the wind turbine legacy we hand our children. Despite what this industry and their bogus studies claim they are never going to solve one man-made disaster, climate change from unbridled human related activities, with more of the same (wind turbine blight). It simply is not possible. No matter how anyone feels about wind turbines, no one should condone the corruption, the silent fraud, and bogus studies supporting this industry. Thank you for visiting. 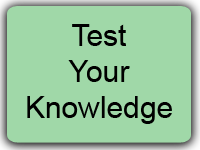 We hope you will let us know if there is information that should be added. This is a subject that has hidden in the corridors of turbine power for too long. 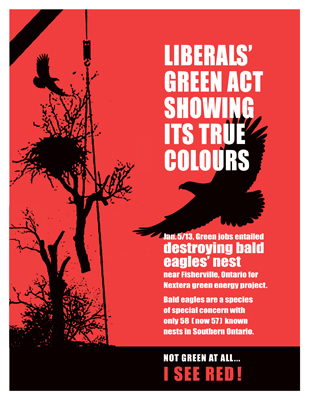 We would like to expose the developers, their minions and any cooperating agency, some of which may surprise you, as part of a massive assault on Nature.